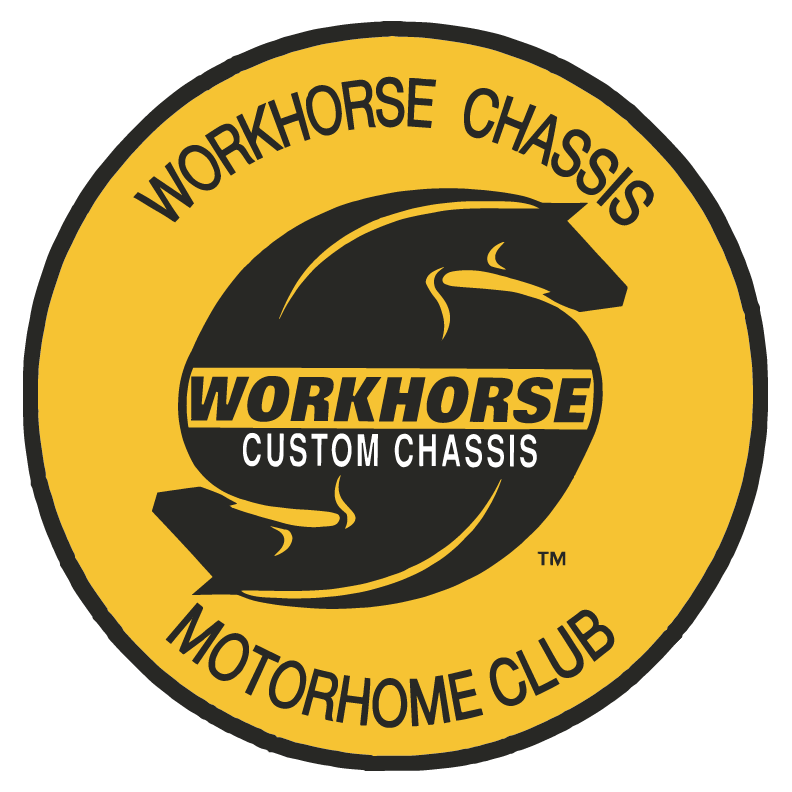 The Workhorse Chassis Motorhome Club Chapter was formed by its charter members in Kerrville, TX., in 2002. The club is an FMCA Chapter and was assigned to the International Area (INTO) as our members are located internationally. In addition to the benefits available through FMCA, membership in the WCMC offers you the opportunity to be better connected to the automotive component of your motorhome while supporting and promoting social networking with fellow owners. "The WCMC exists to promote social, recreational, and informational exchange activities that provide for the enjoyment and pleasurable use of family member coaches." To be eligible for and to maintain membership in the Chapter, a member family must be in good standing with FMCA and meet the dues requirement and provisions set forth in the By-Laws of this Chapter. In June 2006, the club held a rally in Union City, IN, where our chassis were built. During the club's business meeting, among other things, we decided to have two (2) Vice Presidents for Rallies, an "East" and a "West". The goal is to host two rallies per year to better serve a nationwide membership and increase the opportunities to fulfill the club's mission. Our members are encouraged to register for and attend either or both rallies. Rallies typically feature, meals, entertainment, seminars, outings, socials and evenings around the campfire. Since the shuttering of the Workhorse Custom Chassis Company in 2011, we have taken the opportunity to transition the Club from a factory sponsored organization to a private social organization. The WCMC's member owners continue to take the opportunity to travel to various locations to see old friends, make new ones, and share knowledge and experiences about our Workhorse powered motorhomes. Our organization continues to have the means to allow us to access resources that directly support member chassis products. Whether your need is concerning recalls, owner of record, parts, maintenance, operational issues, repairs or chassis information, the WCMC is able to provide the best information to its members. Our club's website has become a significant repository and resource for much of the information that is sought by all Workhorse RV Chassis owners. Once enrolled and logged into the site, the entire content of the site becomes available to you. If you are currently an FMCA member, own a Workhorse Chassis, please look for the "Member Signup" tab and consider becoming a member. When registering you will be provided the opportunity to create your account and enter a password that you will remember. Our VP of Membership will have received a notification and when your FMCA membership is confirmed, you will be immediately granted access to the site. For the best support for your motorhome chassis and the friendship of folks that own a similar brand, come join us for the fun and excitement of driving one of the best motorhome chassis on the road today. Not an FMCA Member yet? Join the Family Motor Coach Association "1st" to become a member of the Workhorse Chassis Motorhome Club. We look forward toward having you as a new WCMC Member.